Six glaziers from District Council 6 recently participated in a 3-day Architectural Glass and Metal Technician training session. The IUPAT training, held from January 15-17 allows glaziers to earn certification to quantify their ability to install products properly. Certification gives glaziers more work opportunities by highlighting their knowledge in the industry and making them more valuable in the marketplace. 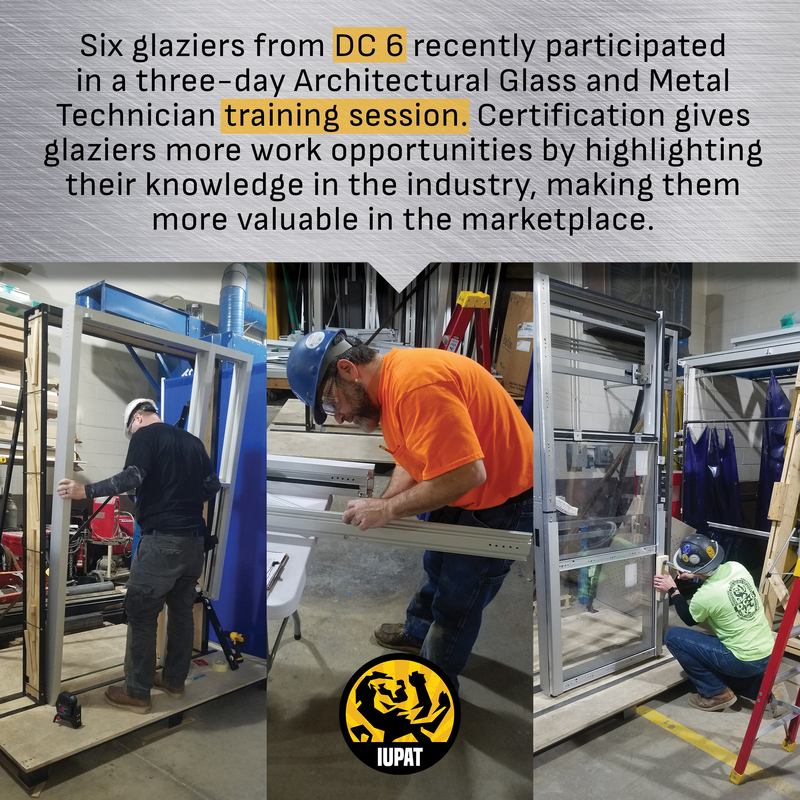 The DC 6 glaziers were required to take a written exam and demonstrate hands-on knowledge. The following members participated: Nick Papadorotheou, Matt Harper, Pharaoh Hill, Brian Reynolds, Local 181, Cleveland; Bo Anderson, Local 1162, Akron; and Jason Liskai, Local 948.